Holte School has achieved IQM Flagship status for the second time. 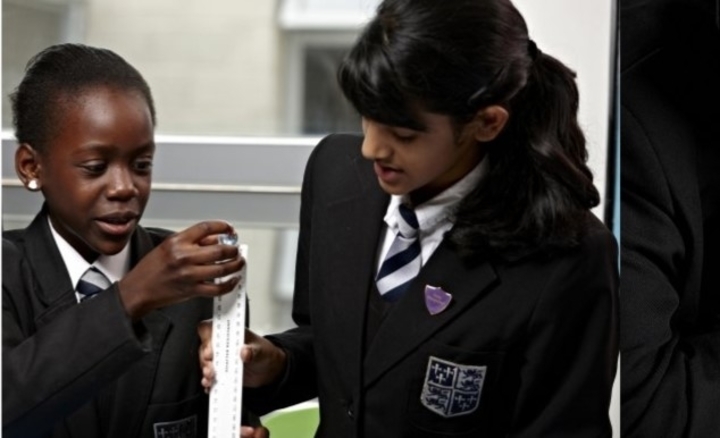 Holte School is an outstanding 11-18 comprehensive school on a shared campus with a primary (Lozells) and special school (Mayfield). It is situated in Lozells, one of the most deprived areas in the country. The school serves a densely populated area that is ethnically diverse and culturally rich, with a predominantly Muslim community. Lozells is the first point of settlement for many economic migrants, refugees and displaced persons and the demographic trend is for economically successful families to move out of the area, leaving the most vulnerable behind. The school is currently oversubscribed. and that the core values of collaboration, aspiration, respect, equality and responsibility are deeply embedded. School leaders enthusiastically share their good practice and seek collaborations that lead to further improvements. During the past year there is ample evidence to demonstrate this. The school’s strategic development plan (SDP) for 2017/18 identifies the achievement of the UNICEF Rights Respecting School Award, as a key objective particularly for the development of SMSC provision, including character education, Citizenship and PSHE. Following the submission of the school’s UNICEF action plan, audit and associated evidence the school was awarded the level 1 (bronze) UNICEF Rights Respecting Award by UNICEF in February 2018. The school introduced a new Management Information System (MIS), SIMS, in September 2018 as a replacement for CIMS. All staff in the school have completed a programme of training to ensure that they use the new MIS proactively in their roles. SIMS provides greater capacity for the school’s pastoral leaders to monitor attendance, punctuality, and academic progress. It also facilitates the effective sharing of information, including SEN and pastoral data, including Behaviour Support Plans. Along with 4Matrix the performance data system and Sleuth which enables staff to track student behaviour, the school has good information systems which are used effectively by staff. A new SENCo was appointed in the spring term and has set about reviewing existing provision. Her third in department has taken responsibility for introducing the Rix Wiki personal learning websites and the school is the first outside of London to introduce this system. It will become a hub of expertise for the Midlands. The system was demonstrated by three students who have trialled the system. All LAC and students with an EHCP will have a Rix Wiki by the end of this academic year. The school has a significant EAL population; the effectiveness of provision for EAL students remains a whole school priority. The SENCo is currently investigating alternative software that could be used with EAL students including Flash Academy, which will replace the current Rosetta Stone software. Again, I was able to see a demonstration of Flash Academy. Pastoral support is strong and in discussion with pastoral staff it was clear that there is a good deal of experience and expertise that accounts for this outstanding aspect of the school’s provision. I met with Year Managers and Year Coordinators and also visited the Learning Support Centre and met three further members of the pastoral team, LSC Mentors, as well as some of the students who access the centre. The LSC mentors have developed an extensive programme of one-to-one interventions and the Proactive placement programme has been completely overhauled and will be reviewed throughout the year. This has included resilience and self-esteem interventions. LSC mentors also lead on the creation of Behaviour Support Plans (BSPs) with vulnerable students that are shared with all members of staff through SIMS. Throughout the year there are also enrichment opportunities for vulnerable students who work with the LSC, including visits to the law courts, police headquarters, the Brighouse and Jamie’s Farm. Impressively, the school offers support to other schools through the LSC and the Proactive Placement Programme. Earlier this year, I acted as IQM Ambassador for the Midlands inclusion Cluster group when Holte School hosted the first meeting. During that meeting there was a presentation on the implementation of the Maximising Impact of Teaching Assistants (MITA) programme. Since then, there has been a change in leadership and the new SENCo will prioritise the MITA training from September. The new SENCo has a clear vision for enhancing the impact of Teaching Assistants and is currently liaising with the Headteacher in order to make this vision a reality. Already she has secured additional time in which Teaching Assistants can collaborate with teachers, enabling them to plan and prepare interventions. Another initiative presented at the cluster meeting was the iPeace project which is a framework for introducing and sustaining restorative practice in schools. The ‘iPeace project’ is an example of innovative collaboration between Holte and Lozells schools, focusing on the use of restorative approaches to conflict. The project is now in its fourth year and has received national recognition from the Restorative Justice Council, College of Mediators and Cambridge University. The school’s ‘iPeace action group’ are currently participating in a research project in conjunction with Dr Hilary Cremin from Cambridge University on the use of language in mediation and restorative interventions. The effective engagement of all parents remains a significant priority for Holte School. Whilst there have been a number initiatives introduced to engage parents in aspects of the school’s work the impact of these initiatives have been inconsistent, particularly in terms of the numbers of parents who directly engage with students. Leaders decided not to pursue the Leading Parent Partnership Award but there is an impressive array of strategies that the school deploys in its attempts to generate greater engagement including the introduction of a Community Newsletter. The newsletter promotes the work of the school, staff and students and is created once every term. An important part of the newsletter is a section dedicated to the governing body. The governing body has become actively involved in a number of school initiatives throughout the academic year. The Chair of Governors, for example, has played an active role in the school’s Bullying Intervention Group (BIG), who have recently been successful in achieving the BIG Award. In addition, community, parent and staff governors are members of the UNICEF RRSA steering group. Students involved in these initiatives have been invited to attend governors’ meetings to provide an overview of their work to the wider governing body. In addition, the school’s Junior Leadership Team have also attended governors’ meetings in order to share their views and experiences of their time at Holte School with governors. Holte School is an Outstanding Secondary School set right in the heart of a community that is ethnically diverse and culturally rich but has a prevalent gang and drug culture, poor housing and high levels of violent crime. This leads to huge challenges for the Inclusion team at Holte but they remain resilient and resolute in securing the best possible provision for their students. The school has built up a huge range of partnerships with other services, schools and organisations. Holte has built up a very close link with West Midlands Police. This is a long-standing relationship that is now stronger than ever. The Deputy Head (Inclusion) at Holte chairs the Ladywood Police-School Panel and also sits on the steering group for Police-School panels across the city. The Assistant Headteacher (Pastoral) is a part of the National Ballistics Intelligence Service group in Birmingham representing education. The relationship also led to Holte hosting one of only two Police Cadet groups across the city. The group is flourishing and providing young people from Holte an interesting insight into the work of the Police and the operation of the law. The school continues to use City Year to provide mentoring. City Year are a charity that provide 18-24-year-old mentors who act as ‘near-peers’ to their students for a year. The support can be in-class with their work or in 1-to-1 sessions focusing on behaviour, attitude and social skills. The school has engaged with a variety of organisations and groups that have helped school leaders fulfil their safeguarding duties. These include ‘Loudmouth’ and ‘Tapestry’ – two theatre groups who have helped raise the issue of Child Sexual Exploitation and Radicalisation with our pupils and the 9/11 Charity and ‘Connect Futures’ who have also supported the school with the issue of radicalisation. Hard hitting presentations from visitors to the school include Alison Cope, mother of murdered Joshua Ribera, a victim of knife crime and Sammy Woodhouse, a Rotherham CSE survivor and campaigner. There is an exceptionally strong commitment to collaboration and sharing and I was very impressed. There is also an exceptionally strong inclusive ethos which pervades every aspect of the school and which is shared by staff, students and governors. Holte School is a beacon of inclusive practice and rightly deserves the recognition as an IQM Flagship.